The Cobia 296 CC is designed big to handle any conditions Mother Nature throws its way. It also fishes big with twin 28 gallon live wells and a cavernous cockpit with flip down aft seating and two in-deck 6'4" macerated fish boxes. All the lures, leaders and terminal gear you own will fit neatly into the tackle organizers in the leaning post and console and your dead baits will be kept fresh and ready for rigging in the two insulated boxes in the tackle station. All deck hardware and the bow rail are recessed and the deck is level from stem to stern for 360-degree fish fighting maneuverability. Integrated into the console and leaning post, the metalwork of the optional hard top carries the clean lines and stylish looks of the deck upward to a two-tone top with molded-in pods for speakers, LED down lighting and spreader lights. Comfort features include soft and elegantly appointed upholstery on seating for 11, a full step-down console with forward access and a new hidden bow table that raises and lowers electronically with the push of a button. This TWO owner low hour pristine boat is seriously priced for a quick sale, owner wants her to be the next one sold. Bring all reasonable offers for consideration. Don't miss out on this great opportunity. 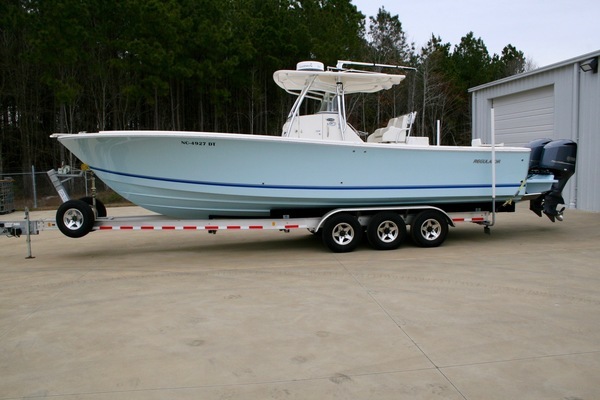 This Boat serves as a perfect Boat for fishing and fun with a fit and finish unlike no other! Cockpit access with deployable dive ladder make Boat very accessible in and out of water. Everything you could want in a mid size center console. Boat is pristine and ready to go!! 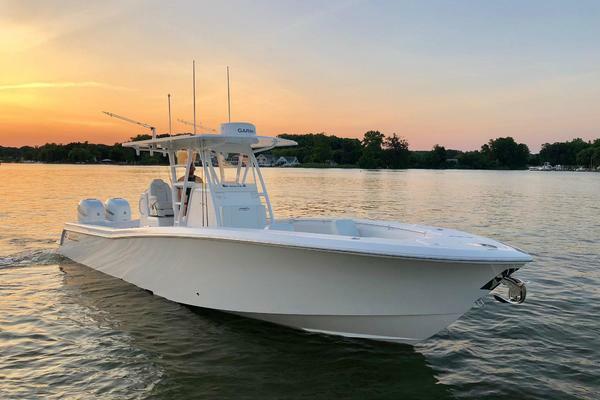 West Florida Yachts would love to guide you through a personal showing of this 29' Cobia 296 CC 2016. This yacht for sale is located in League City, Texas and priced at $139,500. For a showing please contact us by filling out the form on this page and we will get back to you shortly!